Halloween Baby Shower Invitations For A Hauntingly Fun Baby Shower Party! For A Hauntingly Fun Baby Shower Party! Looking for Halloween Baby Shower Invitations? Make ghoulish personalized baby shower invitations and create your own invitation text to get your Unique Halloween Baby Shower rolling ... bwaaahahahaha! If you love Halloween then you certainly know how to plan for your favorite time of the year, and all of the exciting Halloween Festivities! And, if your throwing a baby shower, what better time to do it than on your favorite holiday. Make it memorable and begin with style. Choose any of these awesome invitations and make them into personalized baby shower invitations just by changing the text. Using your own baby shower wording you can create the perfect personalized baby shower invitations for your Halloween Baby Shower. Looking For Fall Baby Shower Invitations? 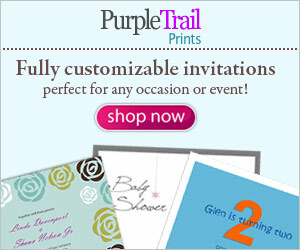 We have a great selection at our Fall Baby Shower page and also on our Fall Baby Shower Invitations page. Warm Fall designs with colors of season. Ad an image of Mom-To-Be, or both proud Parents-to-be. Are you getting the hang of it? Personalizing ordinary Halloween Invites to create baby shower invites is easy, right? Enjoy! Want More Of A Goth Look Baby Shower? Looking for Halloween's cousin? Goth, that is ;) Find more chilling invites on our Goth Baby Shower page. Find lots of ideas for a Gothic baby Shower Celebration, including decorations, favors and more. Cross bones and all ... speaking of which, we also have original artwork, Goth Baby Shower Invites that you can download immediately and print. And it's all free ... no strings attached. Just our little way of thanking you for being a loyal visitor and sharing our site with your friends. Thanks again for your support and Enjoy the Goth baby shower invitations!